The FTC v. Qualcomm non-jury trial continued on Friday with Judge Lucy Koh (yes, the same Judge Koh who presided over the first Apple v. Samsung trial) listening to testimony from Apple supply chain executive Tony Blevins. According to Reuters, Blevins told the court that the company considered sourcing 5G modem chips from MediaTek and Samsung for the 2019 iPhone models. Between 2011 to 2016, Apple used modem chips from Qualcomm for the iPhone. In 2016, for the Apple iPhone 7 and iPhone 7 Plus, the company used chips from both Qualcomm and Intel. Because of its numerous legal fights with Qualcomm over the cost of licensing the chip maker's technology, Apple is now exclusively using Intel chips for its smartphone line. Despite this reliance on Intel for all of the modem chips used on the 2018 iPhones, Blevins testified that Apple has sought, and continues to seek, multiple options for this component. The executive told the court that Apple decided to sign a deal with Qualcomm for its modem chips after Qualcomm offered to give the company "deep rebates" in exchange for an exclusive deal to provide the chips for the iPhone. Worried about losing the rebates it was receiving from Qualcomm, in 2013 Apple stopped negotiations with Intel, which was going to provide Apple with modem chips for the iPad mini 2. Blevins said that Apple's inability to reach an agreement with Qualcomm on the cost of licensing its patents later that year, led the tech giant to start "Project Antique," created to find a second modem chip supplier. Blevins didn't state whether Apple had decided on a 5G modem chip supplier, or whether it even will release a 5G iPhone later this year. While the major U.S. carriers are expected to launch mobile 5G service using Android handsets in the first half of this year, Apple will reportedly hold off on offering a 5G enabled iPhone until 2020. 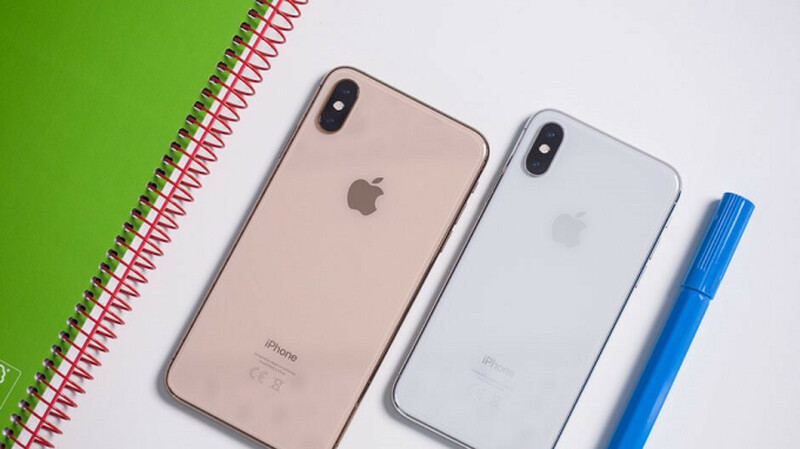 As we told you earlier today, The Wall Street Journal reports that three new iPhone models will be released later this year including the iPhone XI Max with a triple camera system, the iPhone XI with a dual camera system, and the iPhone XR (2019). The latter will also carry a dual camera system, and all three models will feature OLED panels. At one point last year, there was talk that Apple might design its own 5G modem chip for the 2020 iPhone units. But subsequent reports said that Apple had not given up on securing the component from Intel for next year. As far as Samsung is concerned, Blevins says that Apple realizes that sourcing parts from the company that is considered Apple's biggest rival in the smartphone industry is not an ideal solution. But he points out that Samsung is already the largest supplier of parts used on iPhone models. MediaTek is a lesser known chip maker that is more well known in Asia and in developing countries. Its chipsets are often used on low to mid-range handsets in those markets. LMAOOOOO! I would not be surprised, if intel modems aren’t in the 2020 iPhone. Apple is seeing the light...slowly lol. Bad modems, weak sales, falling stocks, boring OS...wake up Apple...wake up. I hope this is true...I’m ready for a shakeup in the product line, or at least iOS. All the haters are have fodder now. Haters will behave as if Apple working with Samsung and other companies is something new. Samsung and Apple settled their differences out of court long time back. Samsung and Apple working together is an amazing combination. Their modems are definitely better than Intels. Apple should go with mediatek. They have battery draining soc but their modems are good. It will help apple lower the price of their products. This is about cost saving more than anything, and Apple know they can get a better deal. I really Hate iPhones but Come on not the MEDIATEKS!!!! !